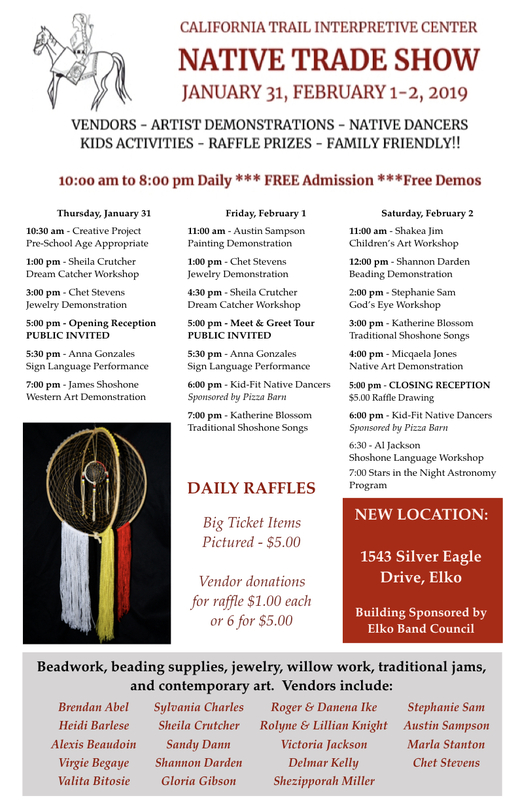 This Thursday thru Saturday at the Elko Band Shoshone Welcome Center! Performances byKatherine Blossom, artist demonstrations by James Shoshone and Micquaela Jones, an Astronomy program hosted by Jackie Lucero and much more! 10 am to 8 pm. Free Admission!